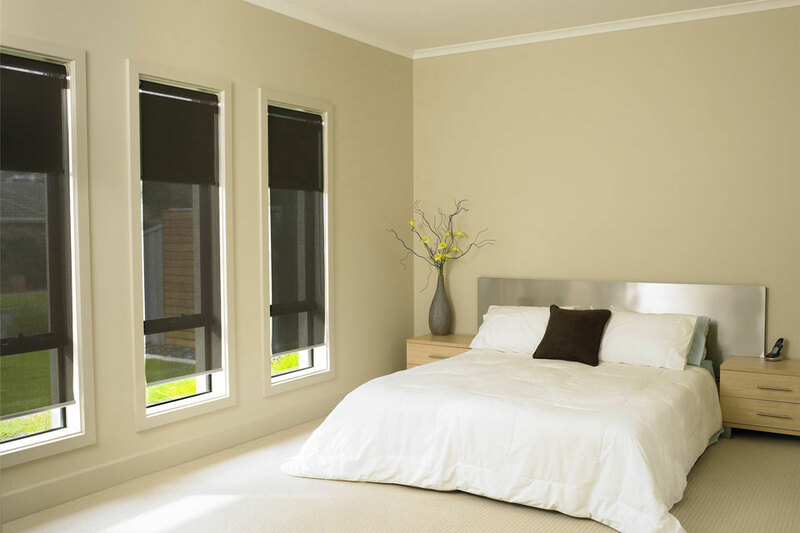 Now that Ballarat is beginning to experience cooler weather, a great way to maximise your outdoor space is by installing exterior blinds. 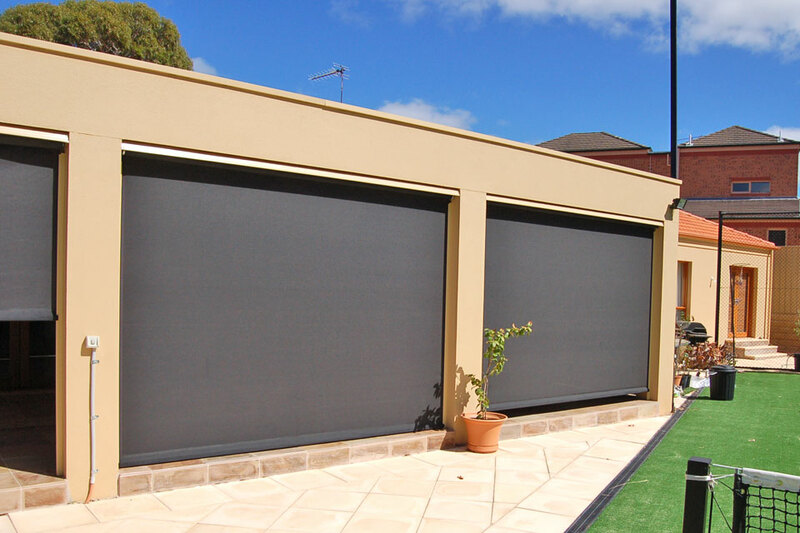 Exterior blinds such as patio blinds, sun blinds, roller shutters or folding arm awnings, can be added to your patio, pergola or veranda area so you can entertain your clients, or your family and friends all year round, in all kinds of weather. 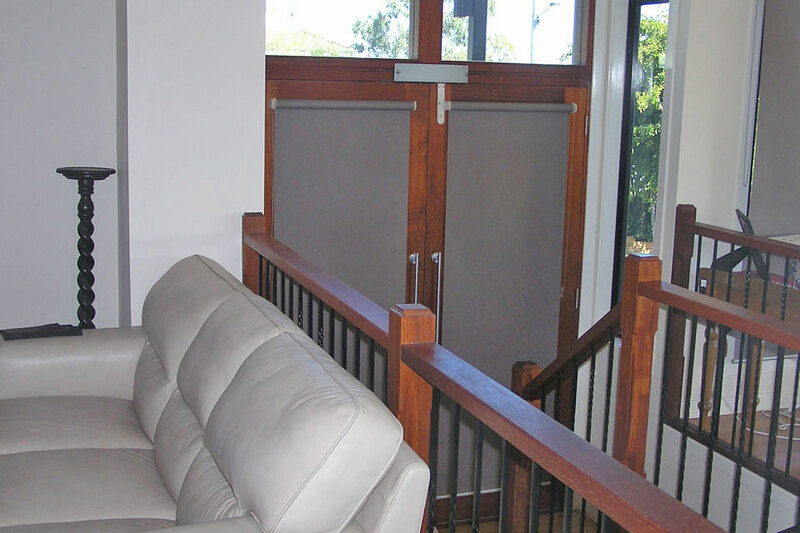 At our showroom in Ballarat, we have on display a wide range of exterior blinds which can be custom made to suit your outdoor living area. 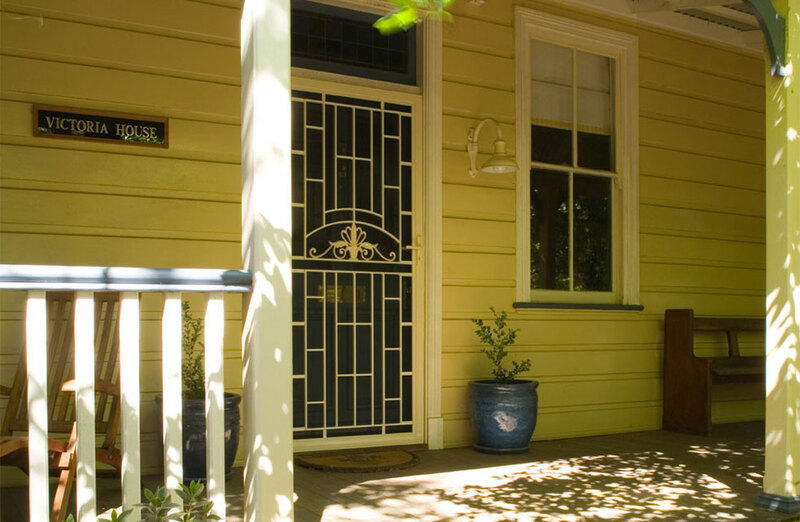 Let us explain in more detail the types of exterior blinds and shutters available. Exterior Patio Blinds – If you love entertaining, then patio blinds are the perfect solution to enclosing your outdoor bbq and seating area. 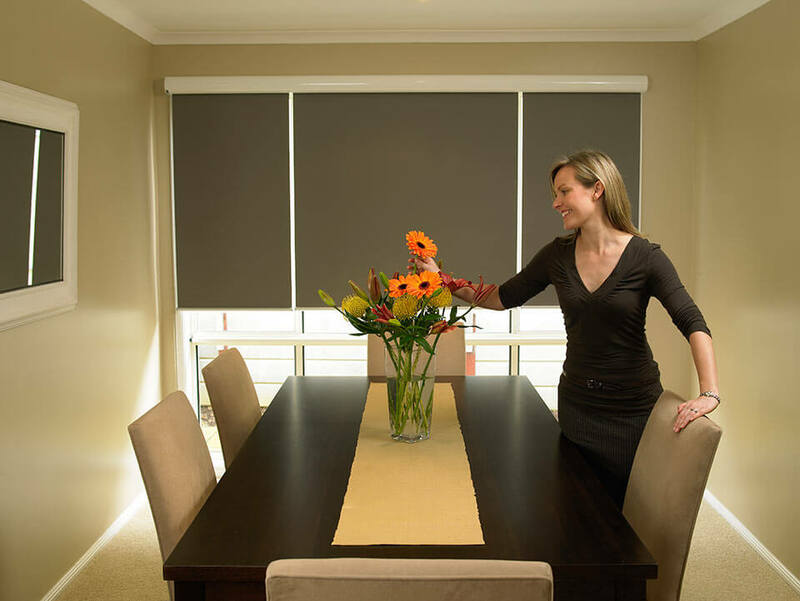 Patio blinds protect you and your furnishings from the sun, wind and rain, but if the weather improves you also have the option to open them and allow more warmth in. Patio blinds are available in a total blockout blind, a sunscreen blind which reduces sun glare and the popular light filtering option, which provides shade but also allows you to enjoy the view of your garden. 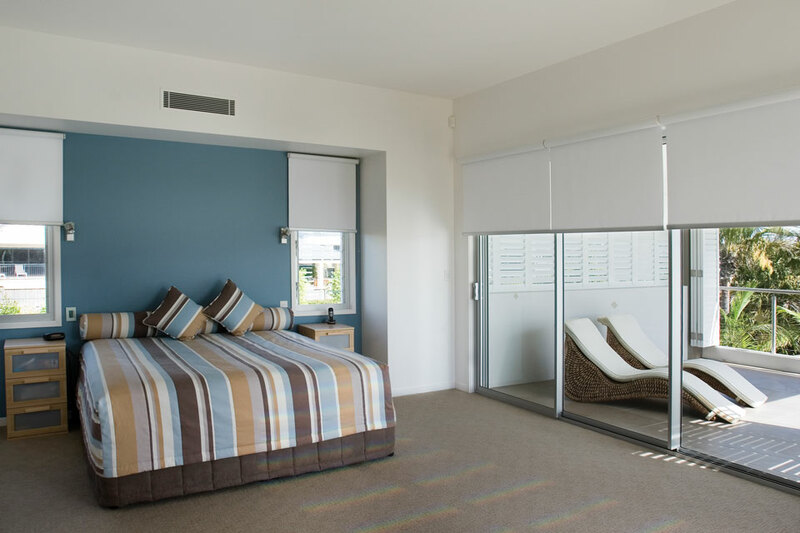 So if you have a special place outside your home that you would like to use more often, or you have an underutilised outdoor area at work, then consider patio blinds as they can provide you with more usable space throughout the year. 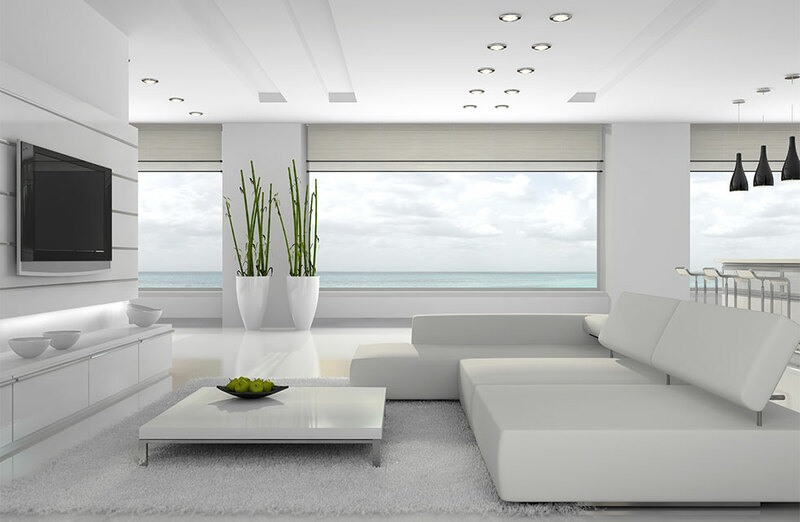 Exterior Sun Blinds – Sun blinds are a fantastic way to reduce sun glare, provide shade and protect you and your furniture from damaging UV rays. 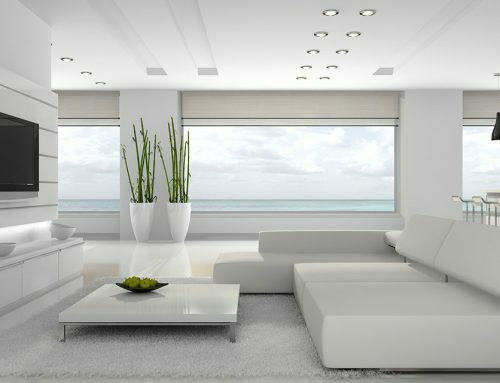 Sun blinds provide an energy saving solution, as they keep your home and office cooler in summer and warmer in winter. 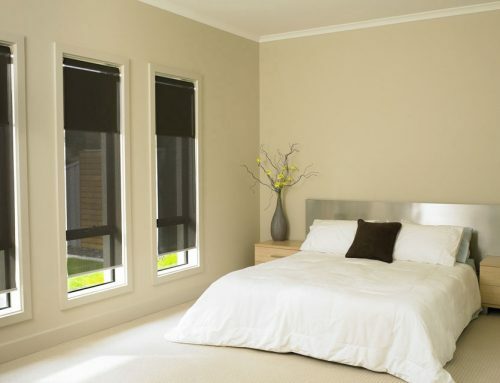 Traditionally Australians have used the classic pull down canvas blind on their exterior windows, but now there is a wide range of fabric and texture options available to suit period homes, heritage homes or todays contemporary homes. 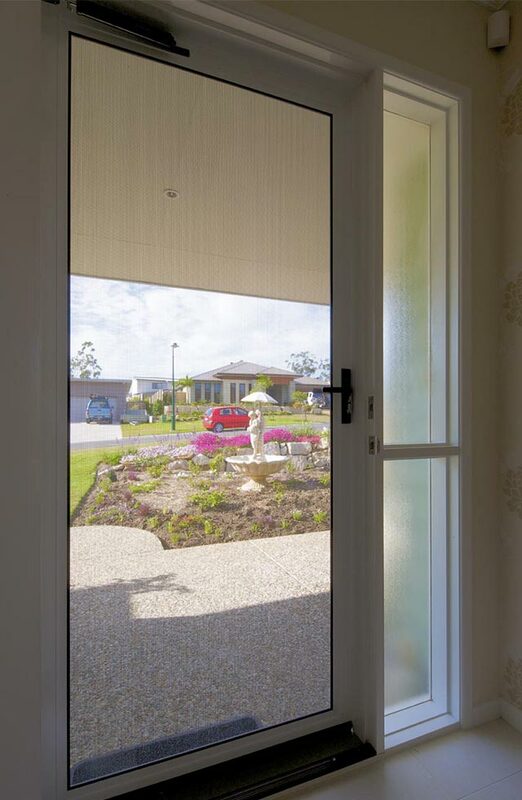 Sun blinds are available in total block out or semi see through depending on how much privacy you require. 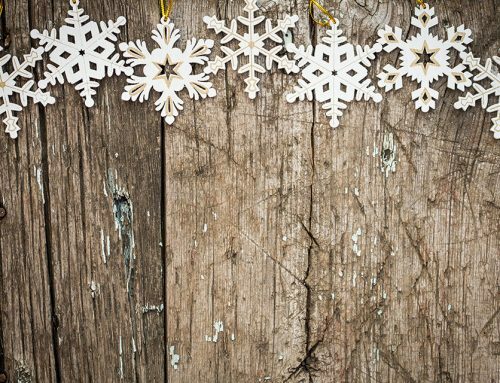 Exterior Roller Shutters – Roller shutters are becoming very popular with commercial buildings and homes for their noise reduction and thermal qualities, but they also can come with key locks and flash bolts for increased security. 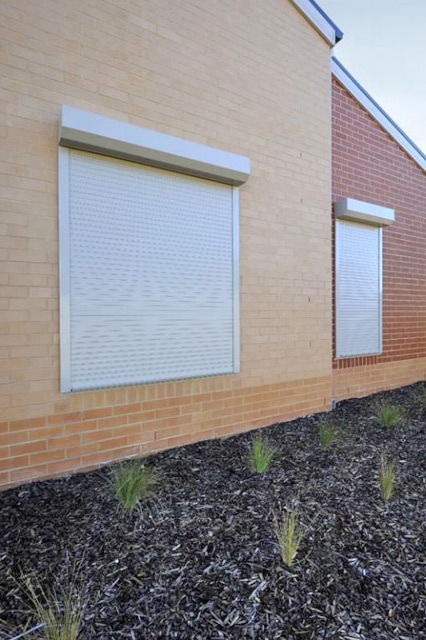 Davidson’s exterior roller shutters are available in a wide range of colours and styles, including manual control or motorised control options. 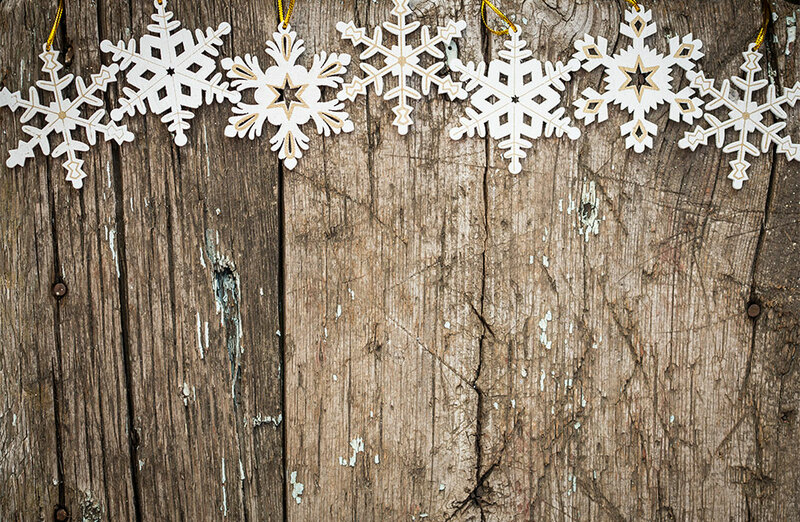 Roller shutters are ideal if you are going away on holiday, or you close the office over the Christmas period, as they can be closed and locked to deter thieves and protect your windows and your contents. 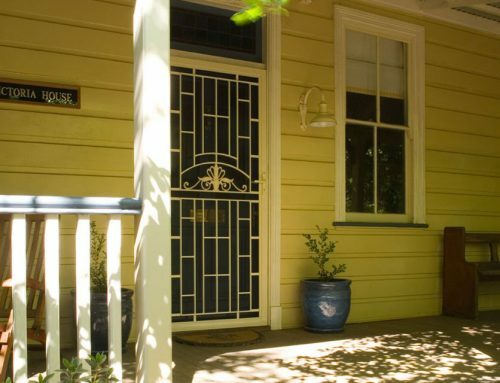 Exterior Folding Arm Awnings – If your outdoor area has unique shaped windows, or you have hard to access places, then a folding arm awning is a great option for you. 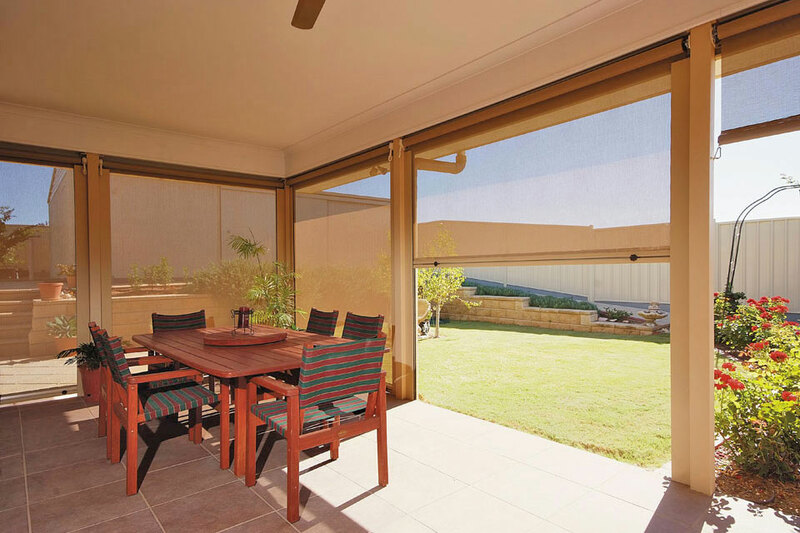 Folding arm awnings can be custom made to suit any areas, are easily installed and are a very simple way to reduce heat and add more shade to your outdoor living area. If you have a smaller outdoor area then a folding arm awning is also ideal. Some people use a sun umbrella on a stand which can take up a lot of room and can blow over in heavy wind and rain, whereas the folding arm awning uses less space, is secured to your home or building and can be closed to protect it in stormy weather. 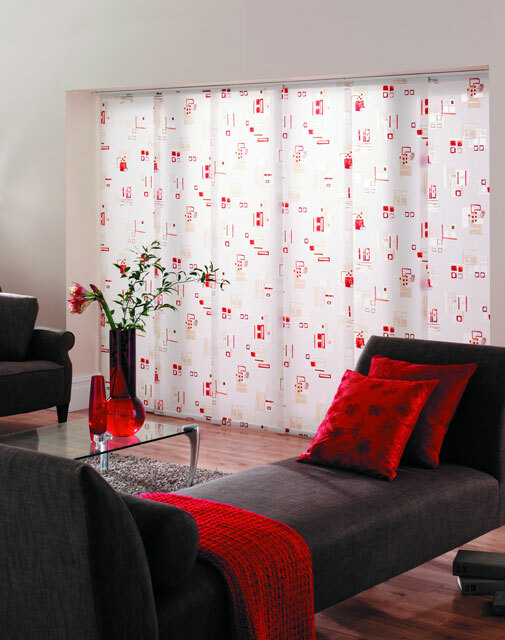 At Davidson’s Blinds and Shutters, we have outdoor blinds to suit your style and your needs. 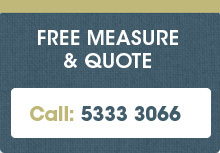 You are welcome to visit our Wendouree showroom to see our fabric colours, styles and textures. You can also gain more information from chatting to our friendly staff or call us anytime, we are here to help!